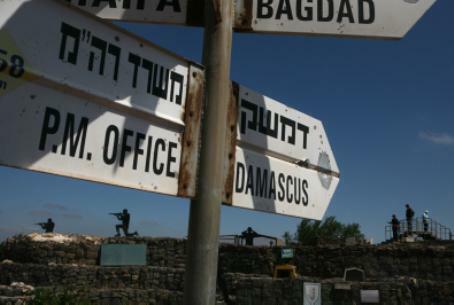 The IDF has allowed more wounded Syrians into Israel, after several appeared at the northern border early Wednesday morning. The IDF has brought more wounded Syrians into Israel, after several appeared at the northern border early Wednesday morning. IDF Chief of Staff Lt.-Gen. Benny Gantz authorized Israeli troops to administer first aid to the injured Syrians, but at least two clearly required more care than medics could provide in the field. Those two were evacuated to a hospital in Israel for further, more specialized treatment, a military source explained. The identity of the wounded Syrians was not released to media, and it is not known whether they were fighters or civilians – nor to which side in the country’s savage civil war they belong. One week ago, four wounded Syrians similarly arrived at the border with Israel, seeking medical care. Two were evacuated to hospitals in Israel and the others were provided with first aid and returned to Syria. Last month, seven Syrians were rushed to Ziv Medical Center in Tzfat, all having been wounded in clashes on the Golan Heights between opposition forces and government troops loyal to President Bashar al-Assad. One was listed in critical condition. Two days ago, Colonel Riyad al-Assad, commander of the Western-backed Free Syrian Army (FSA) was seriously wounded when a explosive device detonated while attached to the vehicle in which he was riding. An aide was also wounded in the attack. At the time, Assad was traveling in the city of Al-Maydan in the province of Deir Ezzor, according to a report broadcast on Arab satellite news networks. The FSA commander is currently being treated at a hospital in Turkey, according to the pan-Arabic Al-Arabiya news network. The rebel forces, which themselves are fragmented and which are now comprised of two factions, have largely taken over the sector that adjoins the no-man's-land buffer zone separating Syria from Israel. In some parts along the Jordanian-Israeli buffer region, the Islamist Front for the Liberation of Syria -- a radical jihadist group that comprises more than a third of the opposition forces -- has seized control of the area entirely, prompting the IDF to raise its alert status along the northern border zone.